Eden Electronics has announced details of its newly revamped N Series bass combos for 2008. N may stand for Nemesis, but these bass amplifiers will be more friend than enemy to student players everywhere, offering Eden´s signature tone in affordable, compact packages. Featuring all-wood kickback cabinets and custom drivers designed by Eden´s chief designer and founder David Nordschow, a streamlined control panel makes it easy for fledgling players to dial in their sound. 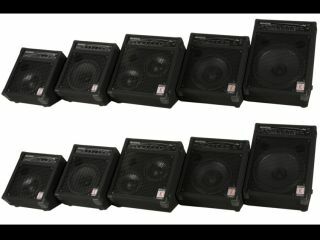 The N15 and N28 both offer 200 thumping watts of low end projection, so there´s something for the rehearsal room or small venue too. Visit the official Eden Electronics website for more on the new N Series models.